I’d been off the rails for too long! 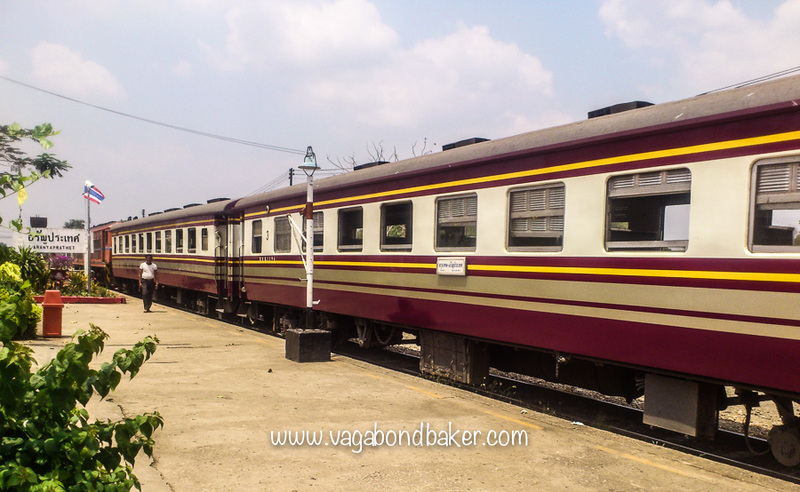 Considering that the first three and a half months were travelled exclusively by train, we hadn’t been on one for seven weeks while traversing southern Vietnam and Cambodia. I was itching to be rocked along again. 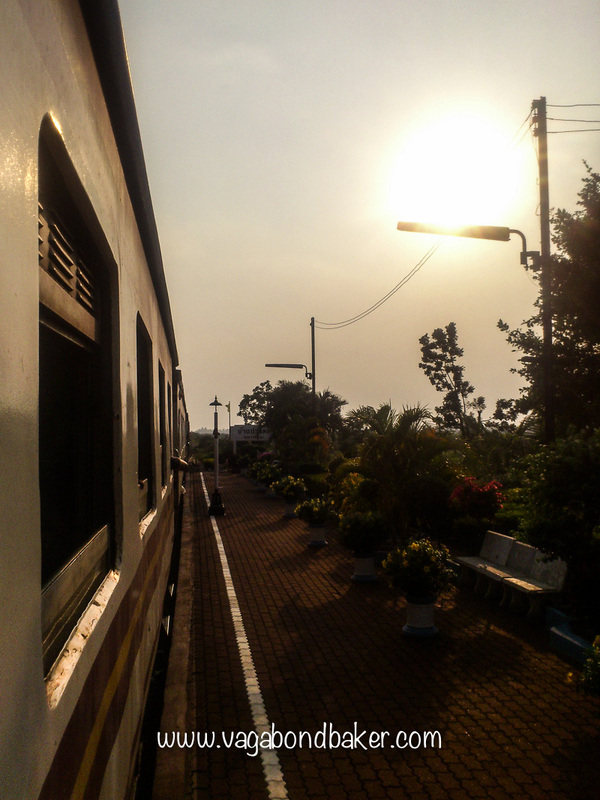 The slow train from Siem Reap to Bangkok had my name on it, a relaxing journey after all that Angkor tomb-raiding. Cambodia’s rail network is slowly being re-established but for the moment it’s only for freight. 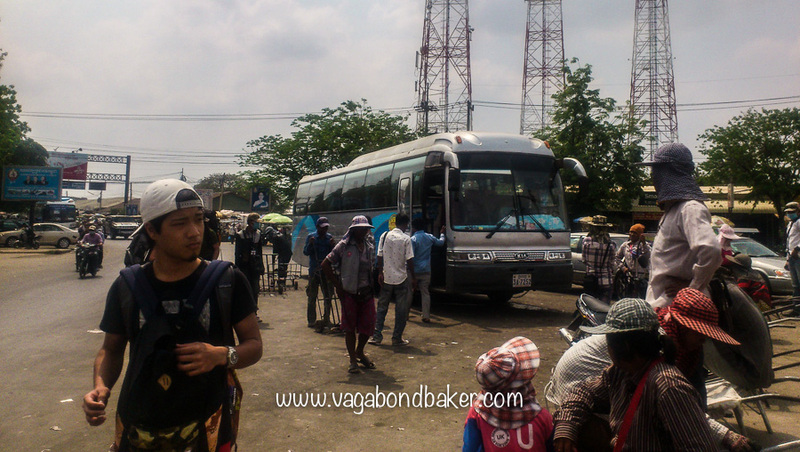 For now you must take a bus or taxi to the Thai border and from Siem Reap that takes about 3 hours. This is considerably quicker than when we took a taxi on this route six years ago, the road is now paved! The bus was cheap and fairly comfortable. We bumbled along to a video soundtrack of Cambodian karaoke. 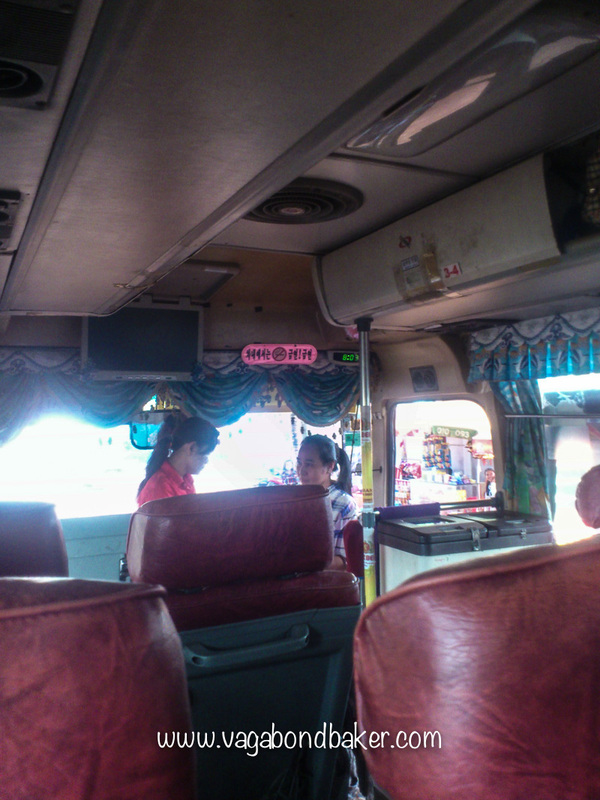 Arriving into Poipet, the border town, the bus will stop first at its office, don’t get off here. The bus continues through the town until it reaches a large ’roundabout’ where an army of unofficial porters will vie for your bags. 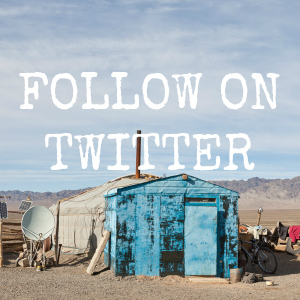 With our backpacks hoisted on we strode to the border on foot, it’s really not far. The heat was intense though and the hot air was grimy with vehicle fumes. We were stamped out of Cambodia then we walked across the bridge into Thailand, crossing the depressingly polluted river that separates the two countries here, joining a snaking queue in the immigration building. I was envious of the sparrows who flitted into passport control through the window vents, the room was warm and the queue was painfully slow. They raided the window frames for insects then flitted back out to freedom. The icy chill of the 7Eleven was heavenly when we finally tracked it down in Rongkleu market, just behind the immigration building. Refreshed with cold drinks we hired a tuk-tuk to take us the 6 km to Aranyaprathet. 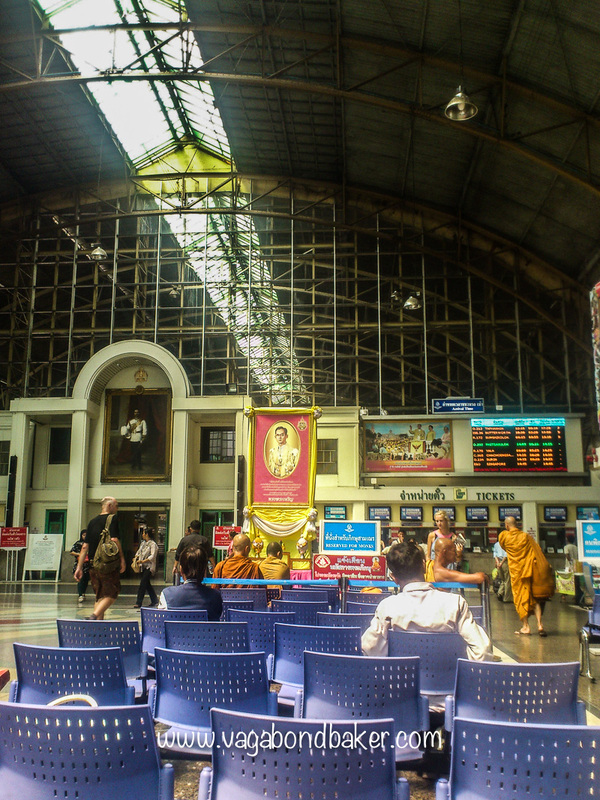 Aranyaprathet’s railway station is absolutely charming, quaint and tidy, it couldn’t be more in contrast to the chaos of Poipet. 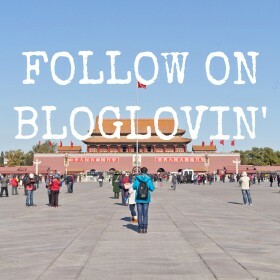 Pot plants and flowers, fluttering flags and a spotless platform, it was like entering another world. We had plenty of time to kill, we found a shady spot and sat, people-watching, for an hour. 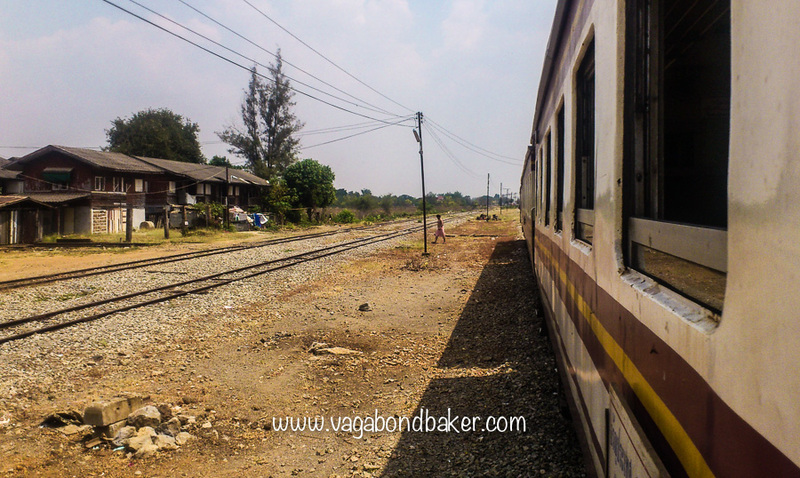 Most travellers continue the journey from Poipet to Bangkok by bus but there were a few other backpackers waiting for the afternoon train. Waiting for the ticket office to open. 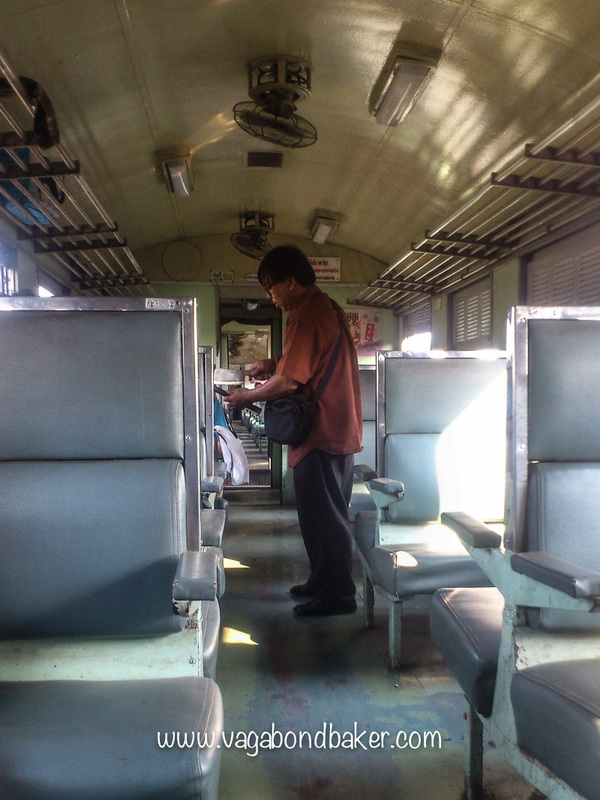 The Aranyaprathet to Bangkok train costs less than $2, there is only one class and that is 3rd. 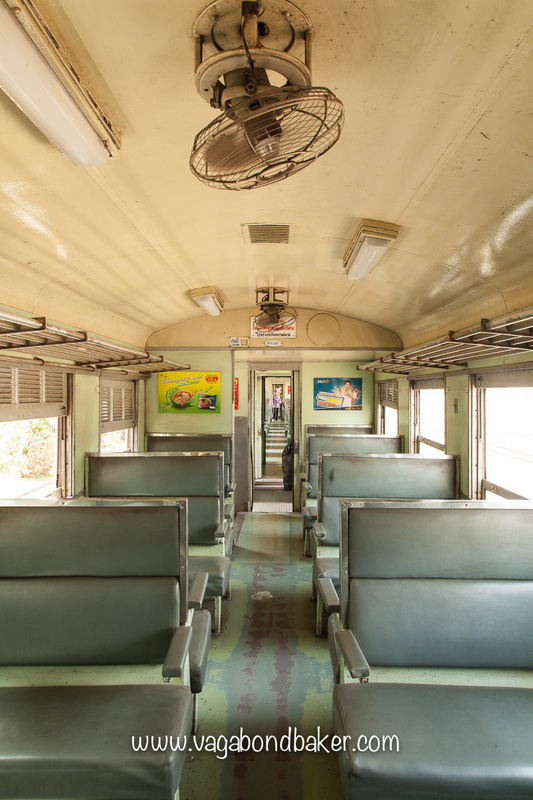 The carriages are spacious and pretty comfortable, the warm air is circulated by ceiling fans, cooler air breezes in through the open windows once the train starts moving. Through flat farmland we roll, the occasional golden spire pierces the neat landscape. We pull in to more well-kept stations and the carriages slowly fill. The guard had been down the train, stamping our tickets. A small group of school girls boarded and he came down to stamp theirs. The girls burst into giggles and began whipping out their mobile phones to photograph their tickets. 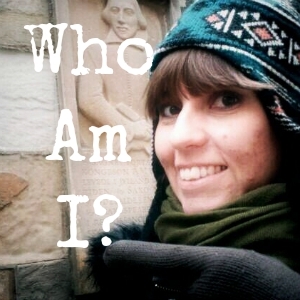 I was curious, what was so special about them? I slipped my ticket out from the back of my paperback where I’d tucked it for safe-keeping. 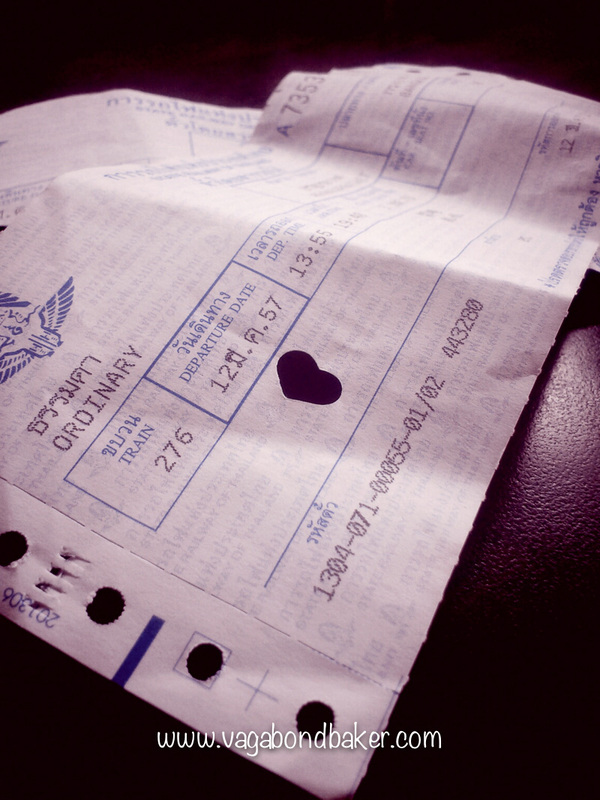 There, stamped into my ticket was a heart! I checked Chris’s, so was his. I’d noticed he’d creased it a little as he stamped it but thought nothing of it at the time. Now I watched him, carefully but quickly he would crease the ticket before he stamped it. What an amazing man! Bringing such simple joy to the commuters on the Aranyaprathet to Bangkok train, the pleasure it gave the young school girls was priceless and I will cherish my ticket forever, to remind me of this heartwarming act. It was a wonderful welcome back to Thailand. Another country, another tuk tuk. It was dark by the time the train pulled into Bangkok’s Hualamphong station, on time, six hours after we departed Aranyaprathet. The train had become very busy as we neared the city. 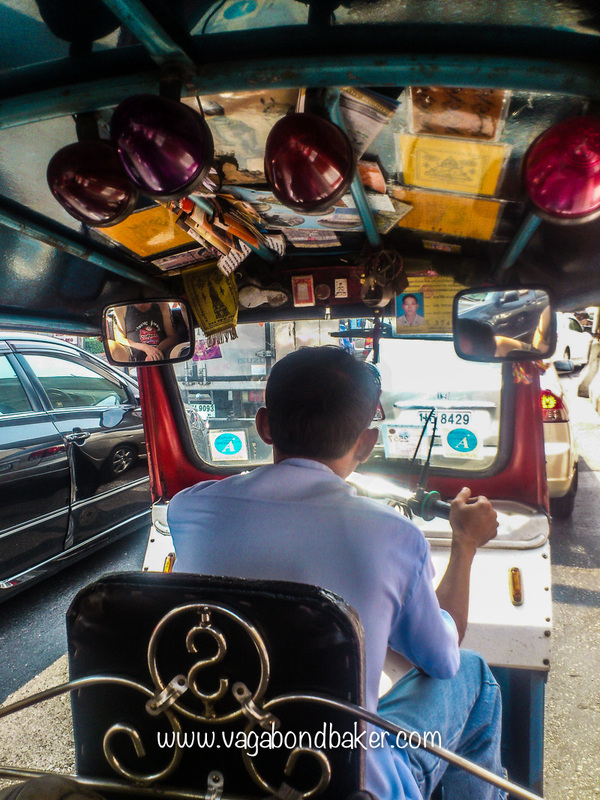 A tuk tuk transferred us to our booked accommodation in Silom. Yes, it’s faster to go by bus, but this train journey was wonderful and it has become one of my most treasured rail memories. I would definitely do it again. 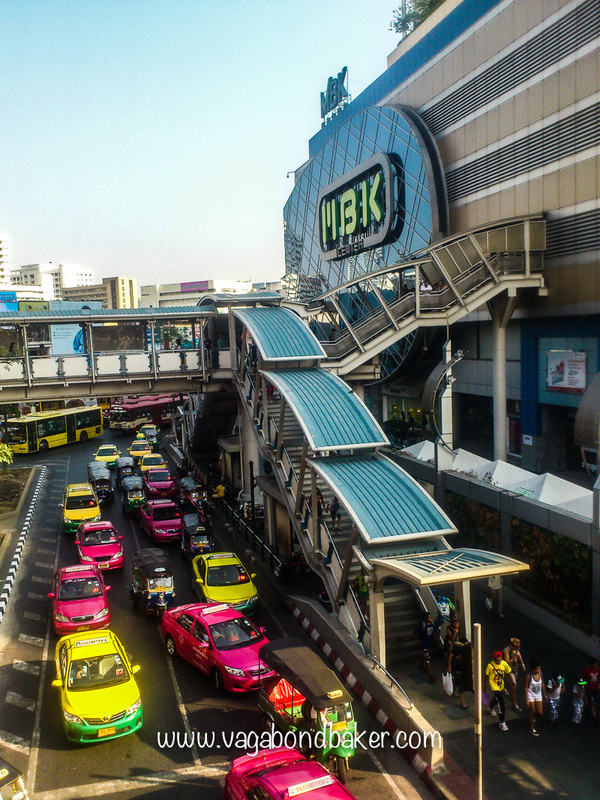 Bangkok is one of my favourite cities, bright and vibrant with plenty of quirks. 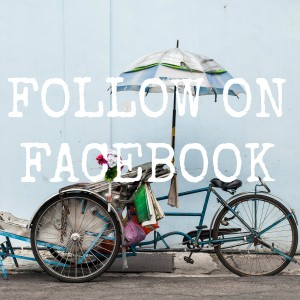 On our last trip to Thailand we spent a long time in Bangkok, seeing the sights and celebrating Songkran, the world’s biggest water-fight. This time round we weren’t staying long, just a few days before a flight to Burma! We shopped and dined, and visited nearby Khao Yai National Park for some Thai nature before we left, more on that in another post. We Saw A Bear! Khao Yai National Park. A couple of hours by train from Bangkok and we saw gibbons, a bear and had a great adventure! 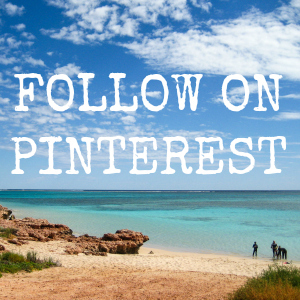 What’s one of the most treasured things you’ve kept from your travels?